Building on a long line of high-performance Quickshifters from Forge Motorsport. Race inspired shifting for your Focus ST250 and RS Mk3 using your Forge adjustable Quickshifter you can adjust the movement required to select each gear. 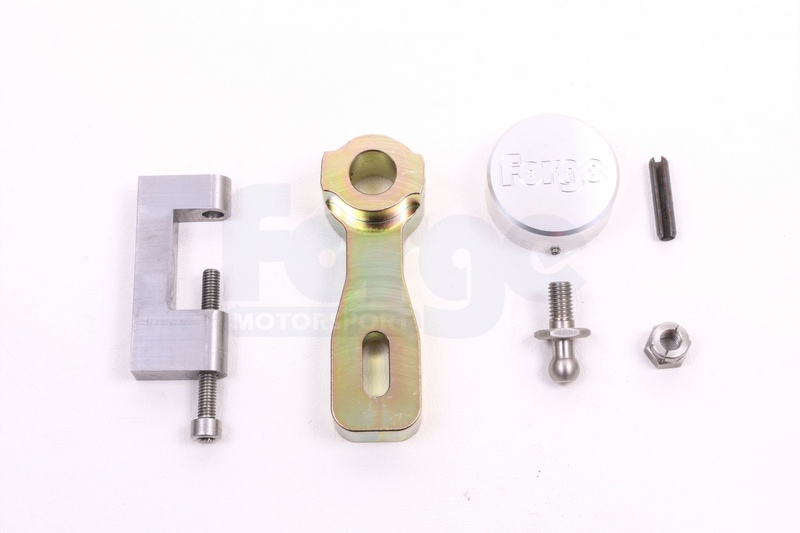 In addition this Quickshifter kit comes with a slop reducing cap which when fitted over the shift cable knuckle eliminates movement and gives the shift movement a more direct feel. This kit comes with the Forge Pin removal tool. The Pumaspeed Workshop team are ready to fit the Forge Short Shifter for Ford Focus ST250 and RS Mk3 in our Head Office located here. Therefore making parts and labour a total cost £255.22 (inc. VAT). Pumaspeed have a specialist distribution team that can dispatch the Forge Short Shifter for Ford Focus ST250 and RS Mk3 to any destination worldwide.